Pills, Powders, and Potions, Oh My! When I was a kid, I used to love putting together puzzles. Small ones, big ones, it really didn’t matter. After all, there was no contest, no time limit for finishing them, if they took forever, or even never got done at all, that was no big deal! But what if there was a puzzle you needed to figure out. What if it was a really important one, like finding the right pieces to fit together help someone you love who was really sick. What if they’ve already been to the doctor and the doctor may have prescribed a variety of pills or procedures, but what if that wasn’t enough? What if the person was still really sick? Infant mortality has significantly dropped due to better hygiene and prenatal care. 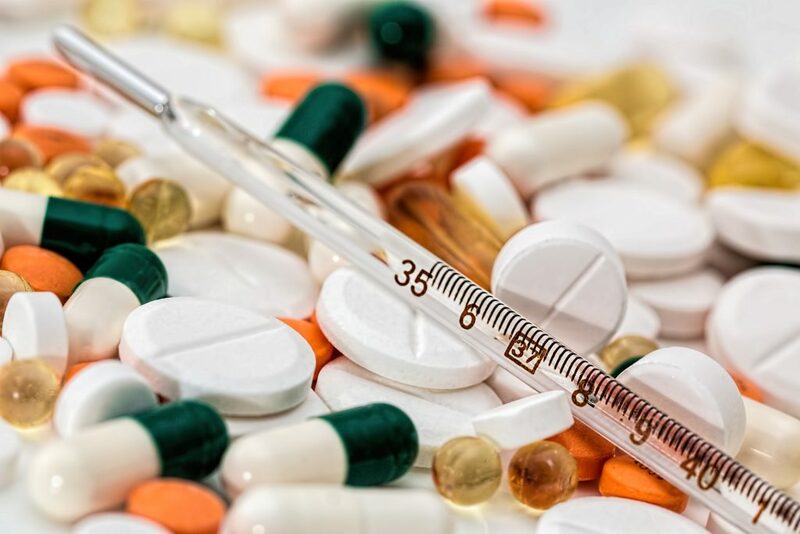 Medications and procedures are enabling people to live longer with their disease prolonging the quantity of life, not necessarilty the quality of life. Yes, the Doctor is IN! Remember the days of Marcus Welby, MD, and Dr Kildare. And how about Doogie Howser, MD? For generations we’ve watched media portray bigger than life physicians who were well educated, cared about their patients, who were followed their instincts to come up with the rigth diagnosis for their patients and were, for the most part, able to heal. Never, or nearly never, did we see pharmaceutical reps “encouraging” particular medications, or mandates requiring certain procedures or protocals which really had limited efficacy, many of which had sketchy research behind them at best. We innately trust our doctors; they have training that we don’t have, they certainly have big teams of specialists at their beck and call. But there are some pretty important “what ifs” attached to this notion. What if they were not given the information they really needed to provide an accurate diagnosis? What if they never received the basic training required to discern the core issue of our ailme nt? What if the system itself had been skewed such that patient care, particularly patient CURE was not the end goal, but that symptom management was the primary objective? I’m guessing there are virtually NO doctors practicing medicine today who went into medicine with the goal of handing out pills. There’s no doubt in my mind they chose their profession because they wanted to help people, to make a real difference, perhaps even contribute to the finding of some obscure cure that could change the world! But the way medical practice has evolved, particularly medical practice in the United States, for many of our most debilitating diseases, not only has the system let US as consumers down. It’s let the doctors into whom our health has been entrusted down as well! sures that are not profitable for the chemical industry (which has been transformed into what is now our pharmaceutical industry.) As a result, both public and practitioners have been largely unaware of their existence. We’ve been generally convinced that when we get disease it’s largely due to our genes, that we just drew a “bad” card, and the best we can hope for is to “manage” our illness as best we can for as long as we can. But researchers now know much more about genes than they did even five or ten years ago, and that knowledge base is ever increasing. The truth is that genes do play an important role, but we not all genes have the same type of responsibility. Some genes have absolute control over systems in our bodies. Others operate on more or less an “if/then” basis. So “if” you consume high levels of dietary cholesterol, “then” you’ll develop diabetes. What researchers now know, then, is our “predisposition” for, say, diabetes, is not a foregone conclusion. What researchers now know is that we can control that “if”! Which is most important … the number of Years in our Lives or the amount of Life in our Years? Today, thanks to the tireless efforts of researchers and physicians alike, we are becoming more and more aware of what it takes to maintain a healthy body. Their efforts are not just being made public; they are being replicated over and over again by other practitioners and researchers, many of whom began as skeptics themselves, but through a series of circumstances began to investigate the information and discovered first hand the reality of the situation. 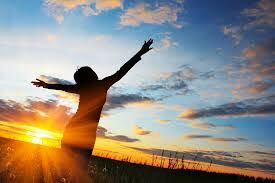 We have considerable control over our health, and it begins in the very simplest of ways. It begins with what we choose to put on our fork! And nearly without exception, when these practitioners discover the dramatic impact of healthy foods, their first question is “why was I never told this in medical school?” That’s a whole other discussion, but the important thing to remember is that simple fact. Doctors are not trained about nutrition in medical school. Hypocrates said centuries ago “Let food be thy medicine and medicine be thy food.” But the essence of that message has by and large been ignored by the vast majority in the medical community. Thankfully, that reality is beginning to change! Health practitioners of all stripes are recognizing that much of what we are doing under the guise of “health care” is less about health and more about disease management, and they’re determined to make a change, to actually make a difference! Probably the best indicator to how their efforts are being received is the fact that finally, more and more of their seminars, workshops, courses and retreats are being attended by increasing numbers of practitioners, whether they be physicians, nurses, dietitians, nutritionists. As medical practitioners increase their knowledge, their patients and clients decrease their health issues, and increase their health! While some of what you may be hearing here challenges your understanding of our healthcare system, I’m reminded that in the spring of 2014, I had my understanding challenged too. I’ve always placed my trust in doctors. Sometimes they helped, and sometimes I was vastly disappointed. But then, I thought it was just me. 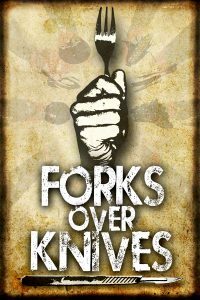 Then on one spring day I watched this amazing film … Forks Over Knives (it’s free on Netflix, by the way), and it got me thinking. First, it made me hungry for more information! I, too, was wondering why I hadn’t heard all of this before? And I wondered how many of MY health issues I might actually be able to do something about, something NO doctor had ever suggested could happen. And, as I said at the beginning of this post, the one doctor I was seeing as I began this journey was adament, even after changes in my test results were indicating my health was improving, he was still insisting that my food choices had nothing to do with it. He’s not a bad doctor. But that sort of closed minded thinking prevents him, and others like him, from doing the very best for his patients. How many people are being mis-directed in a way that may be profitable for business, but is robbing them of much of the health they deserve! So, let me introduce you to some folks who did not allow their original understanding of health dissuade them from being curious. Most are physicans, while others hail from other professions. But all are passionate about helping people understand how much control they actually have over their own health destinies. While this grouping is by no means exhaustive, hopefully it will give you an idea as to the wealth of knowledge behind this notion that Food is Medicine, that it’s not just a convenient meme. It’s a long proven fact from independent science, and consistently corroborated by clinical data! From the meat and dairy farm where he was raised, Dr Esselstyn pursued a career in cancer treatment, but became frustrated by the “cleaning up after the problem” nature of surgery. 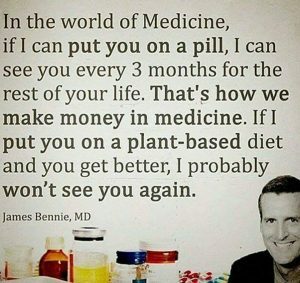 He turned to our number one killer, heart disease, and created a program that actually halted, even reversed, heart disease in patients told by their primary cardiac physicians that “no more could be done”, several of them having been “sent home to die.” His results are chronicled in his book Prevent and Reverse Heart Disease and the award winning documentary Forks Over Knives. Born into a generations old farm family in Fargo, ND, Dr Barnard’s father was the area’s specialist in Diabetes care. What struck Dr Barnard, though, was that none of his patients “got better”. Treatment was about “symptom management”. That didn’t sit well with the young doctor. In 1985, Dr Barnard founded Physician’s Committee for Responsible Medicine (PCRM), with numerous objectives, among which were extensive research on the impact of food on health, improving dietary recommendations at the governmental level, and educating physicians and the public on the benefits of plant based eating. Growing up in a dairy farm family, Dr Campbell viewed meat and dairy the stuff of life. So much so that in his early years as a nutritional biochemist, his focus was on determining how to increase animal protein production to help starving cultures. When both his research and his clinical observations contradicted his beliefs, however, he chose to follow the science, where ever it led him. Part of his story is profiled in the award winning documentary Forks Over Knives and his ground breaking book, The China Study. As a young Internest, Dr McDougall treated thousands of people who came to Hawaii from places like Korea, Japan, the Phillipines and noted they were generally active and healthy. But their children, their grandchildren didn’t seem to fare as well becoming heavier and sicker. Their diseases were largely those of “excess”, like heart disease, diabetes, arthritis. The problem certainly was not their genes. Those had not changed. Their diet changed. Author of The Starch Solution, he heads the McDougall Health & Medical Center helping people reverse a wide range of disease. Truly a trail blazer in the lifestyle as medicine arena, Dr Ornish and his colleagues at the Preventive Medicine Research Institute (PMRI) have done extensive studies in the relationship between health and diet & lifestyle. Their research is published in JAMA and the program they’ve created for treating and reversing cardio vascular disease is now covered by Medicare! His work continues to be ground-breaking. For more information, check out his website DeanOrnish.com. Dr Ornish is helping to change the health care paradigm! As a child, Dr Greger learned the power of food to heal when he saw his 65 year old grandmother basically heal her severe health issues with food. As an adult, he studied the research and discovered the plethra of research on some of our deadliest diseases showing the impact of diet on health. He decided to create a site where people could easily access information that could help them help themselves, and Nutrition Facts was born. A physician himself, he recently wrote the best seller How Not To Die addressing the 15 diseases taking the most American lives each year, and it even includes the sources for his data. As a Gastric Bypass Surgeon and author of the best selling book, Proteinaholic, Dr Davis is an unlikely proponent of the eating lifestyle that could eventually put his surgery practice out of business. But his own health issues, and how he resolved them, along with massive amounts of research, proved to him beyond all doubt that plant based eating can resolve many of our most difficult health issues. As a Cardiologist, Dr Ostfeld has seen the impact a poor diet can have on the body and, as he said, he’s never seen anything in medicine have such a breadth and depth of positive impact as eating a whole food plant based diet does. Inspired by Drs Campbell’s China Study, he helped to create the Cardiac Wellness Program where he’s able to, not only help patients, but to train other physicians as well. As a Psychologist and co-author of the best seller The Pleasure Trap, Dr Lisle is gifted at helping us understand the human condition and the role food plays in it. Treating patients at True North in Santa Rosa, CA, Dr Lisle works with patients to help them understand how they got where they are, and how to create their best lives through his broad spectrum Esteem Dynamics approach. As a Cardiologist, Dr Kahn is on a personal mission to prevent 1,000,000 heart attacks. Not only has he created the Kahn Center for Cardiac Longevity, to help people learn techniques, including plant based eating, to improve their health, he’s also opened a wholly plant based restaurant in the Detroit area called GreenSpace Cafe to help people discover how amazingly flavorful this food can be! With a health care system that ignores food, and a food system that ignores health, we’ve managed to send ourselves on a downward spiral for ever increasing disease. But we are in the midst of a sea change. It’s up to each and every one of us to decide whether we want to take more control over our own health outcomes, or abdicate that role in hopes that someone else will have our best interests at heart. We may not have 100% control over all our health outcomes, but we absolutely DO have much more control over it than any of us ever knew!